Our people and facilities are having an impact in the medicine world. It's inspiring and exciting. Find out how you can be part of something big. Our Medicine, Nursing and Health Sciences degrees will take you further. Get started and stay ahead of the game. Why study Medicine, Nursing and Health Sciences at Monash? We've grown into a thriving research hub in little more than 50 years. Discover what we're exploring and how you can make the move from expert to specialist. We turn your questions and challenges into opportunities. 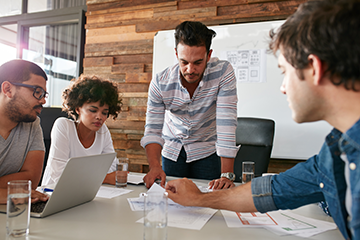 Find out how we can help your business and what we're already involved in. Our alumni community grows every day, spanning more than 90 countries. It's easy to stay connected. Take the opportunity to give back to research that makes a real difference by making a donation or leave a bequest to help us Change it. For Good. Visit our news and events page to find out what we're achieving and what's coming up. How can we work together? At MCSHE we are interested in working with academics, scholars, clinicians, and students locally and internationally. There are opportunities to work with the team at MCSHE in a variety of ways. Why choose to work with us? At MCSHE we strive for quality in all that we do. We value discovery, ambition, respect, openness and service. These values underpin the work we do whether it be in research or education. MCSHE has the privilege of sitting in the largest Faculty at Monash University. The Faculty of Medicine, Nursing and Health Sciences has 10 different schools, and various other departments, institutes and centres. We have representative staff in all of these schools and departments covering a huge range of health professions including: biomedical sciences, medical imaging and radiation sciences, medicine, midwifery, nursing, nutrition and dietetics, occupational therapy, paramedicine, physiotherapy, psychological sciences and social work) and other faculties (e.g. pharmacy and pharmaceutical sciences). This large network of interprofessional health professions educators strives to improve the quality of health education through scholarship and as such are always open and excited about developing new collaborations with scholars and institutions. We are keen to engage in collaborative multi-site research around our areas of expertise and Faculty priorities for health professions education research, which are currently being determined. Please contact us to discuss ideas for multi-site research. MCSHE welcome those interested in completing a PhD to contact us. 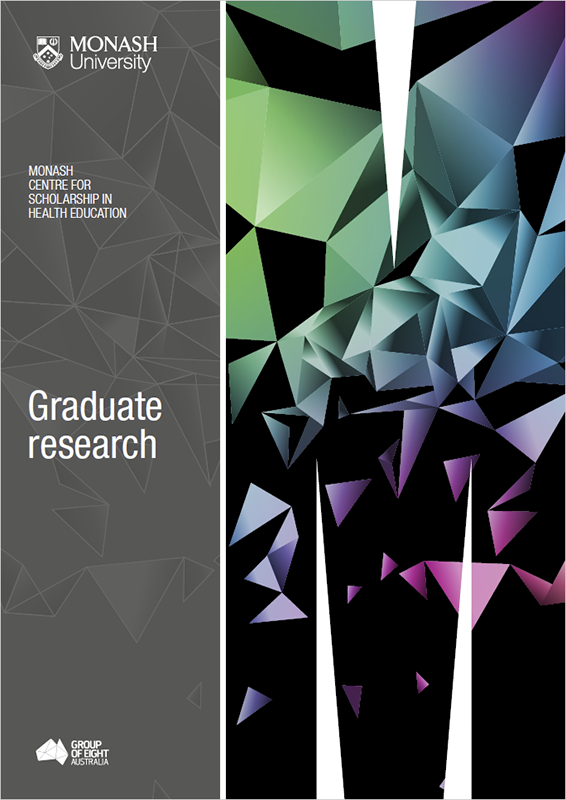 We encourage prospective PhD candidates to also browse ‘Our people’ to explore potential research and supervisory opportunities, to look at our current graduate research to see what is currently happening and to look at the Monash University Graduate research page for more detailed enrolment information. workplace learning, healthcare professionalism, communication skills learning, continuing professional development, management and leadership, clinical supervision, interprofessional education, indigenous health education, evidence-based education, technology-enhanced education, preparedness for practice, innovations in teaching, learning and assessment, curriculum integration, basic sciences learning, clinical reasoning, and gender and healthcare education. MCSHE designs, delivers and evaluates high-quality short courses on a variety of topics in health professions education. We have a range of courses that we deliver regularly but are also able to create bespoke courses to suit your needs. Our short courses range from half day workshops to 5-day intensive courses. Current topics include: Clinical supervision, feedback in the clinical setting, developing clinical reasoning, performance development in health professions education, healthcare professionalism education, leadership and management in health professions education, health professions education research, interprofessional education and curriculum development and evaluation. Authorised by: Chief Marketing Officer, Strategic Marketing and Communications. Maintained by: FMNHS Webmaster Team. Last updated: Aug 2018. Copyright © 2019 Monash University. ABN 12 377 614 012 Accessibility - Disclaimer and copyright - Privacy, Monash University CRICOS Provider Number: 00008C, Monash College CRICOS Provider Number: 01857J. Monash University is a registered higher education provider under the TEQSA Act 2011.